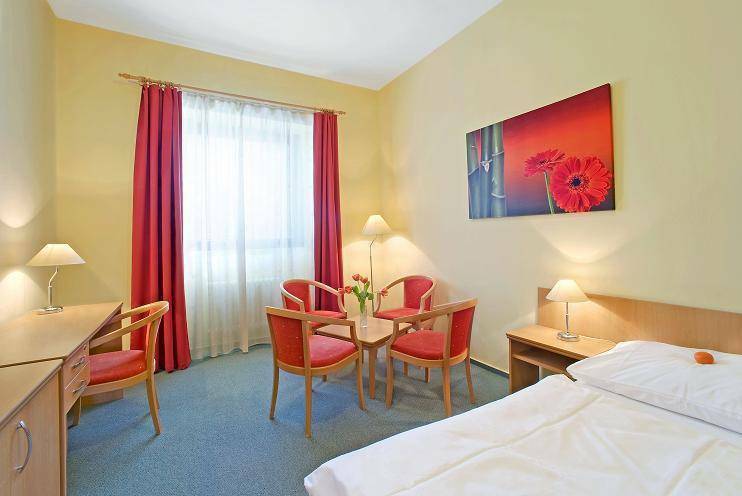 City Apart Hotel Brno with a guarded garage (free) is situated in a quiet area near the center. 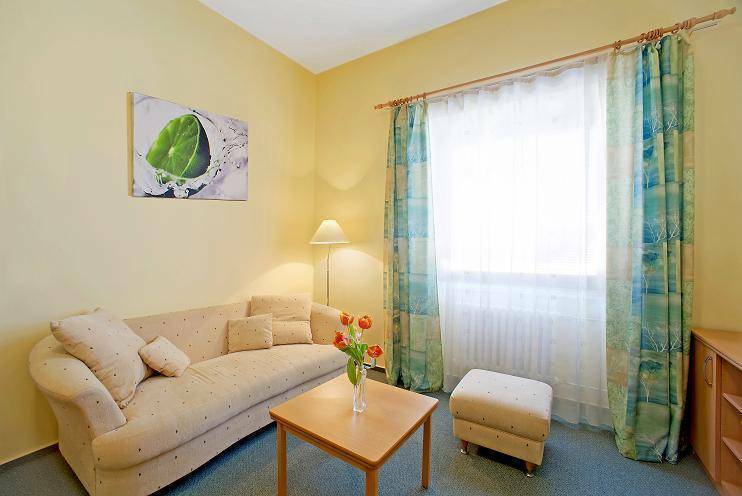 It offers a very spacious elegantly furnished rooms and apartments with air conditioning and opening windows. Most rooms have a kitchenette with fridge, kettle and toaster, apartments offers kitchen with stove and dishes. All rooms have TV, minibar and safe. Internet access in all rooms is available for free. A rich buffet breakfast is served each morning. At the reception you can order snacks and drinks 24 hours a day. We offer 3 meeting rooms with capacity from 2 to 40 people. The rooms are bright and air conditioned. Internet access is in all the rooms. Spoil your body and enjoy your massages or sauna in our hotel! Single room with bath, TV, minibar and safe box. Double room Standard with double or twin beds, bath, TV, minibar and safe box. 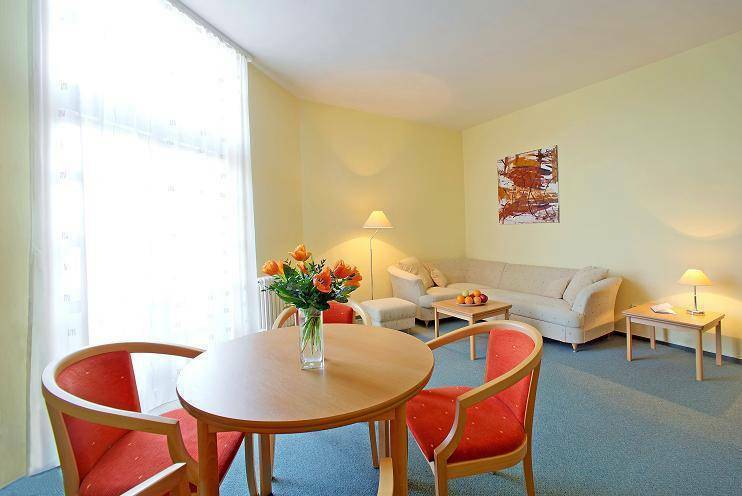 Double room Business with double or twin beds, bath, TV, minibar, fridge, sofa and safe box. Apartment Standard with double or twin beds, bedroom, living room, small equipped kitchen and bath. Apartment Standard with double bed, bedroom, living room, small equipped kitchen and bath. We offer discount for long term stays and groups! • or within 72 hours before arrival for groups from 5 to 10 rooms. • for groups of more than 10 rooms and for high season: individual agreement. 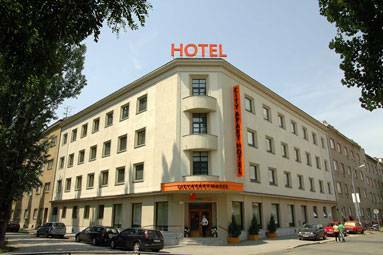 Hotes is located in a quiet area near the city center and exhibition centre. The tram and bus stop is about 2 minutes (by foot) from the hotel. Motorway about 10 minutes by car. The main station 5-7 minutes by tram or bus.